Many of our clients at Evolutions Medical Spa Santa Barbara are anxious to keep their skin in the best condition that they can. The questions we receive – from women in their 20s to 60s and beyond – have inspired us to invite a skin expert to guest author about skin care tips and concerns for women of all ages. Some posts will be geared towards a certain age group while others will be general beauty tips for all ages to enjoy! Forties can be considered a time of transition for many. For a large majority of women, this time marks the onset of peri-menopause – the beginning of menopause – and subsequently a decline in the estrogen and progesterone hormones. Unfortunately your fertility is not the only thing that is affected by this change of life. Your collagen, elasatin and other crucial components of your skin’s underlying support system also begin to decline leading to the traditional symptoms of aging: wrinkles and fine lines, age spots and hyperpigmentation, saggy skin and a sallow complexion. Treat Your Body Well, Inside and Out: We know how important it is to eat our fruits and vegetables, both full of antioxidants, but how realistically do we eat all servings recommended on a daily basis? One very simple solution is to add a glass of professional quality supplements to your daily routine. BioPharma Scientific Superfood Solution supplements are only available through a health professional – find yours in Santa Barbara at Evolutions Medical Spa – and are packed with powerful nutrients to keep your skin, and body, healthy. Read about all supplements in a past blog post – we recommend the NanOmega supplement which boosts skin health alongside an assortment of other positive benefits. Hydrate: Yes, drink your water! And hydrate your skin with a quality moisturizer. 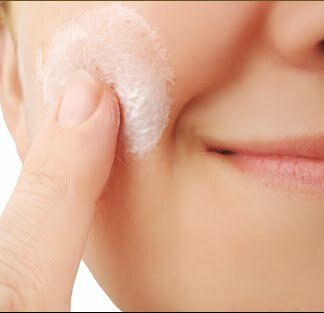 With a reduced load of hormones, your skin may become dry and dull, so moisturizer is a must. Remember that whatever you rub on your skin is absorbed, so make sure that your moisturizer is a product that functions underneath the skin, as well as above it. Your goal is to combat free radicals – which is the cause of cell damage and aging – so use a product that is formulated with this in mind. Cosmetic surgeon Dr. Perkins highly recommends REVALÉSKIN® products because they contain CoffeeBerry® extract which is rich in polyphenol antioxidants, such as chlorogenic acid, condensed proanthocyanidins, quinic acid, and ferulic acid, all of which are key fighters of free radical molecules! Exfoliate: As we age, cell turnover of your skin slows to almost 40 days (whereas it is about every 28 days in younger adults) which means the skin is thicker and/or dryer resulting in dull skin often accompanied by an uneven texture. Exfoliating the skin helps to accelerate cell turnover and allows your skin care products to absorb more effectively. A simple way to exfoliate at home is to use a gentle exfoliant – like the AFA Exfoliating Gel available in three different strengths – that removes dead skin cells with little to no irritation. Periodically a medical-grade chemical peel can compliment your skin care routine along with mechanical exfoliation such as Vibradermabrasion. Lighten, Brighten and Tighten: Hyperpigmentation, sun spots and age spots can be treated in many ways. Often recommended is the Obagi Condition and Enhance System that is a prescription-strength skin care system that treats environmental and sun damage as well as aging, such as fine lines and wrinkles. It is also the system recommended for those who are getting the Obagi Blue Peel (the deepest peel) to see optimum results. There are several ways to treat skin laxity including Dr. Perkins’ Total Tightening Treatment which combines two non-invasive skin tightening treatments available today. There are other skin tightening treatments that are available at Evolutions Medical Spa also. A consultation can help further determine which treatment would be best for you. Bonus Tip! Freeze It and Fill It In! We are talking about your wrinkles, of course! Botox and/or Dysport, both FDA-approved for cosmetic use, are a great (temporary) way to smooth forehead wrinkles and crows feet. Our skilled medical aesthetic nurses can inject Botox/Dysport so as to not alter your natural expressions or features. Botox/Dysport treatments typically last 3 to 4 months. Dermal fillers, such as Juvederm, Restylane, and Radiesse, replace the volume lost in our face as we age and can last six months to a year. Evolutions Medical Spa is here to assist you in the aging process. Dr. Perkins has hand-picked skin care products that are effective and beneficial in conjunction with the array of Santa Barbara spa services offered including facials, chemical peels, FotoFacials, laser facials, Botox/Dysport, laser hair removal, cellulite reduction with VelaShape and more! For a complimentary consultation, call 805.687.0212.